This event will last approximately 1 hour and 10 minutes. 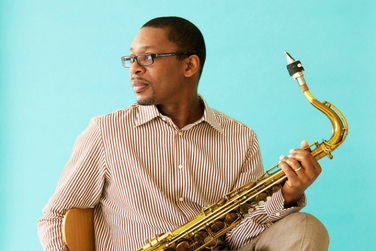 Ravi Coltrane is more than the scion of spiritual jazz’s first family. The son of saxophone bellwether John Coltrane and fusion paragon Alice Coltrane Turiyasangitananda, Ravi was not yet two when his father died. Still, in the subsequent five decades, he has inherited and cherished the call to push jazz ahead, honoring and preserving its past while ever aiming for its next step. In the early 1990s, he began playing with a murders’ row of genre titans, like his father’s longtime drummer Elvin Jones, and restless minds, like progressive jazz force Steve Coleman. Meanwhile, his own albums embraced his father’s searching approach to the saxophone while reconsidering song structures, warping expectations, and rewriting rules. In 2018, Coltrane oversaw the release of a glorious lost album from his father’s archives while co-writing an arrangement of the Beatles’ “Being for the Benefit of Mr. Kite!” with dazzling young jazz harpist Brandee Younger. More than a scion, Coltrane is a direct arrow between jazz’s past, present, and future. Formed by players who are all composers, improvisers, and bandleaders themselves, Coltrane’s relatively new quartet shares that exploratory vim. He is flanked here by the kinetic Adam Rogers, an electric guitarist with a silvery tone and a propensity for solos that suggest the intricate shapes of spirographs. Drummer Nate Smith, meanwhile, seems to live in the cavernous pockets of every beat, emphasizing the edges of the rhythms while skittering across their surface. A multi-Grammy nominee, Smith has previously played with the likes of Dave Holland and Chris Potter. The quartet’s backbone is Scott Colley, one of the most accomplished upright bassists working today. In the last 30 years, Colley has worked with eminences such as Dizzy Gillespie, Jim Hall, Herbie Hancock, Jason Moran, and Pat Metheny, steadily moving toward the vanguard of modern jazz. That’s where this electrified Ravi Coltrane Quartet proudly stands.